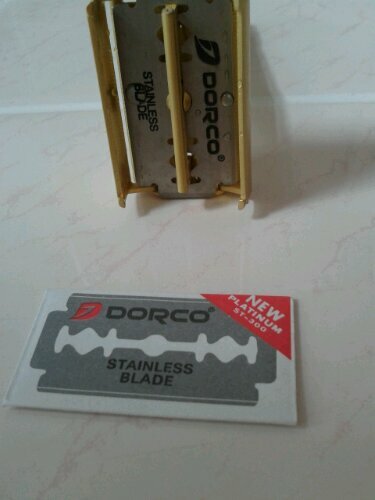 After this morning’s problems I’m using a trusted Dorco blade, manufactured in Korea. No need to review this blade, they are perfect! Update: 3 great shaves so far with this blade. I thoroughly recommend it as a good value blade. Update: The fourth shave felt like a 4th! The blade was becoming dull, but still gave a smooth, clean shave. 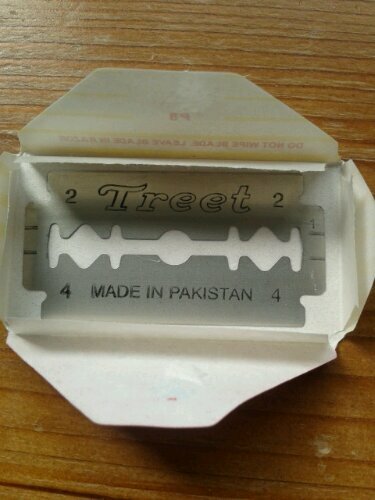 Final thoughts: A perfectly good razor blade. If you see some, give them a try. 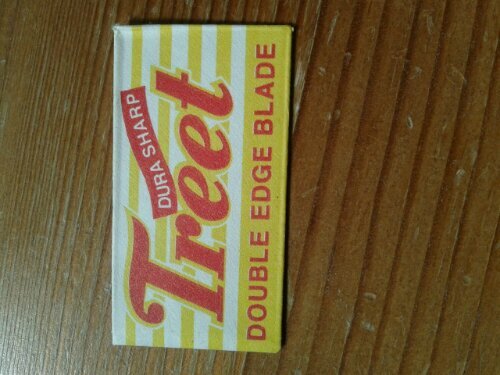 I recently switched back to using a traditional razor, but noticed that it’s getting harder to buy the blades in the shops. ebay offers hundreds of deals, but which should I use? 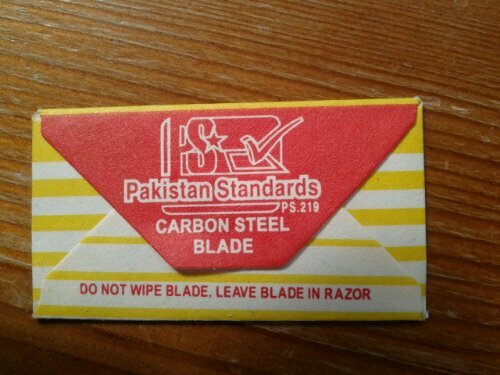 I bought a selection pack of obscure blades to see which give a good shave. For me, I expect a blade to last 4 days, 5 at a push. 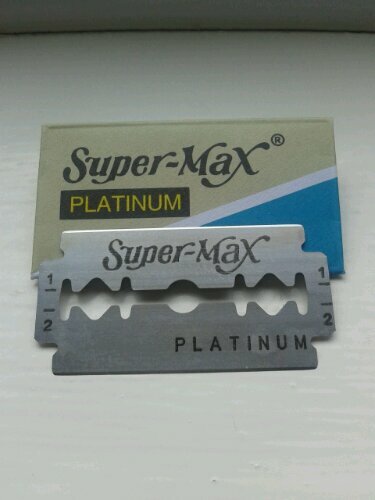 So if I can get blades at 20p each, that’s just 5p a shave. 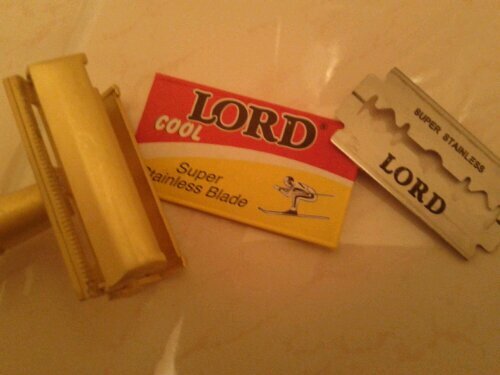 Tomorrow I will be using a Lord Cool, which is a blade manufactured in Egypt. I’ll report back on how I get on. While I was shaving, the impression I got was that the blade was adequate, but nothing special. It doesn’t glide quite as well as a more expensive blade, but I had a perfectly smooth shave with no nicks or weepers. It will be interesting to see how the blade holds up over the next few days. Today’s shave was better than yesterday’s. The blade seems to have worked itself in, giving a clean and easy shave. I’m impressed. Ok, today the blade felt tired, and shaving was harder work, but it still gave an impressively smooth shave. Left me wondering if it will last for the 4th day. Today’s shave was smooth, but hard work. It definitely felt like the end of the blade – an easy 4 but not worth going to to try a fifth. 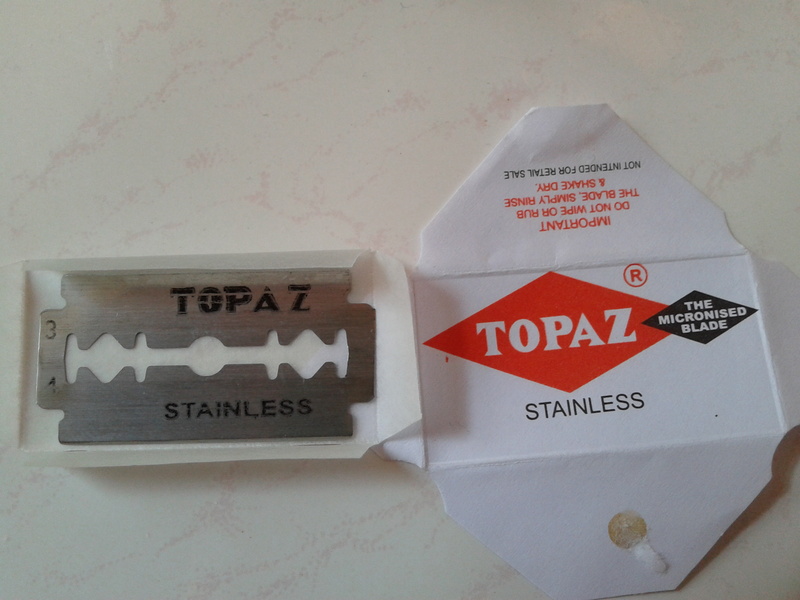 This is a satisfactory blade that I would happily buy at the right price. 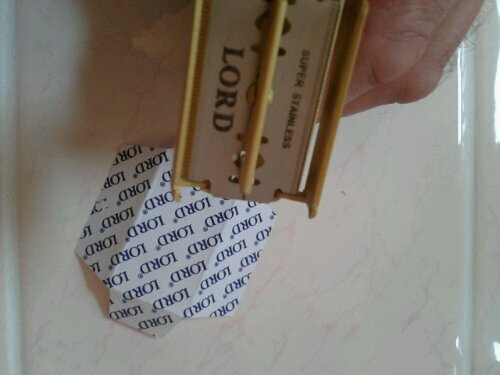 I would say that 15 pence per blade would be good, for 20 pence you could find a better blade. I got no cuts or nicks from the blade and got 4 smooth shaves – but the last 2 I had to work for.